Replacement slim speakers for Sena SMH10R Bluetooth Headset. Not compatible with SMH-10 models. Smaller Speakers for some helmets. I purchased this speakers to install them in my BELL ROGUE HELMET. The standard speakers that came with the Sena SMH10R Bluetooth Headset were hurting my ears due to a tight fit and smaller ear speaker pockets. Sound quality is as good as the bigger speakers and obviously as good as it can get with bluetooth. Very small and great fit! These fit a lot better than the bigger ones that come with the Bluetooth. These speakers sound like the music is coming out of a tin can! I used the origional speakers instead since the Neotec helmet has adequate room for them. I purchased these headsets for Lazer Kestrel helmet due to not having much space in the helmet. 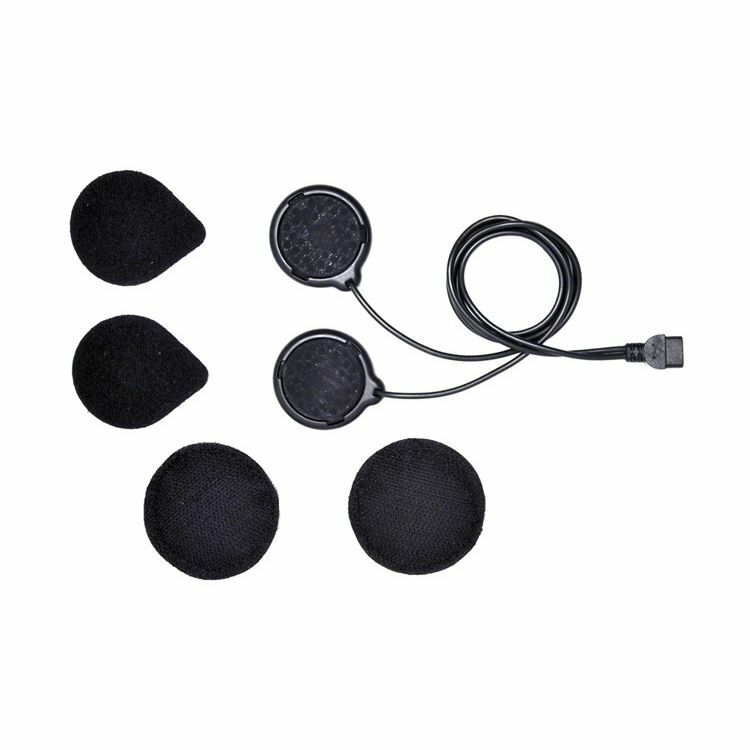 Headsets fit very comfortable and produce an excellent sound. Highly recommend these if you don't have enough space for regular thicker headsets in your helmet. Not a good quality headset. There is very little bass in them. Look, feel, and sound cheap.